Our youth work as a distinctive educational practice founded on a voluntary relationship with young people and shaped by their agendas. 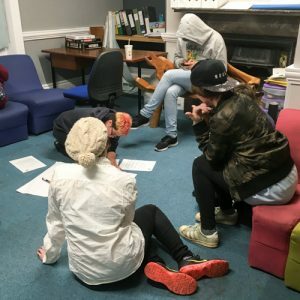 Our Young People’s steering group – sits alongside our Trustee board and ensures that Outreach youth continues to meet the needs of LGBT*Q+ young people. 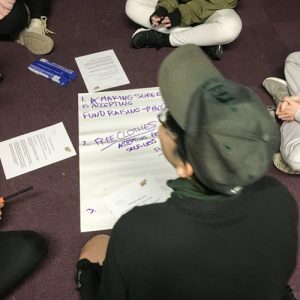 We are currently working with young people attending our LGBT*Q+ youth groups to plan the way the steering group will work, what it will do and how young people can get involved. What sort of things could the Young People’s Steering group be involved in? How do we identify who is involved in the Young People’s Steering group? How will we know that the Young People’s Steering group is making a difference?